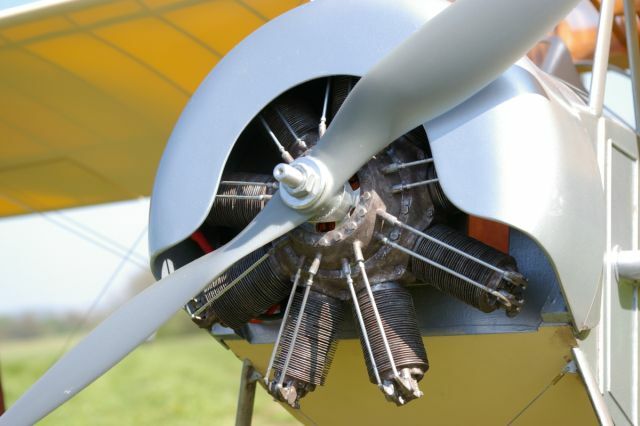 These aircraft have either been converted from a standard 'can' type 'brushed' electric motor, or more radically converted from an I/C powered model. 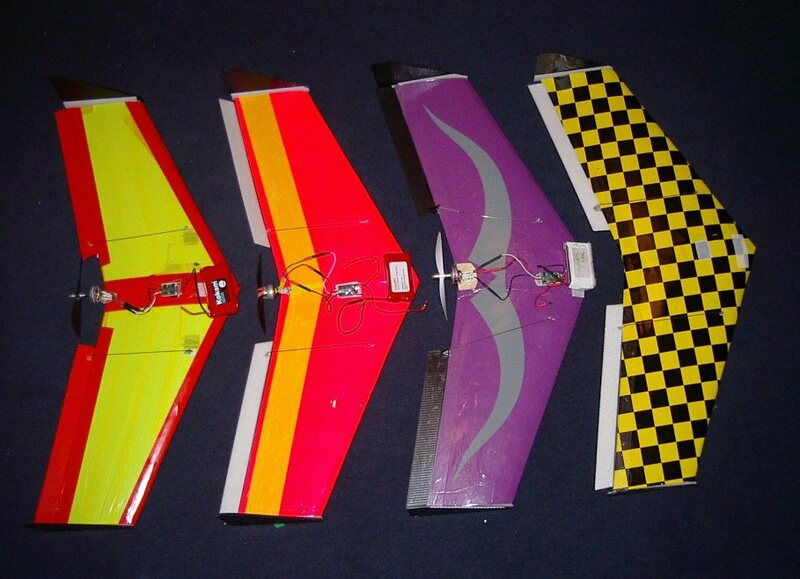 The resulting photos show models with the equivalent powered electric set-up, namely brushless motors and LiPo batteries. 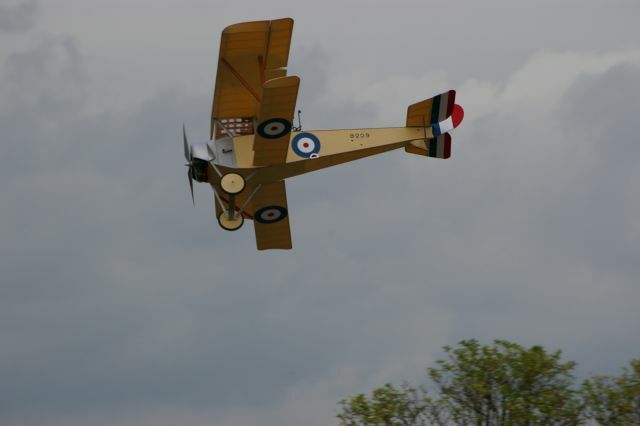 Photos from Barry Parkinson of his Nieuport 12. 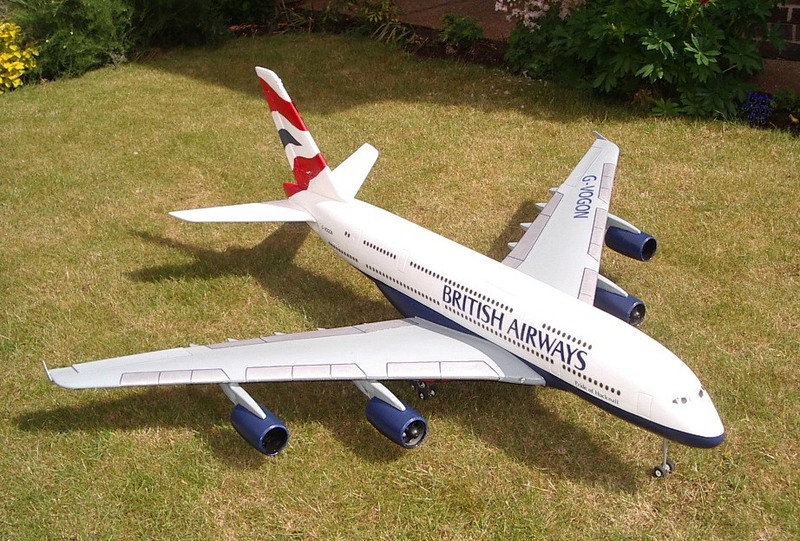 It has now flown all of four times, but still needs a bit of sorting. It requires a little more downthrust. 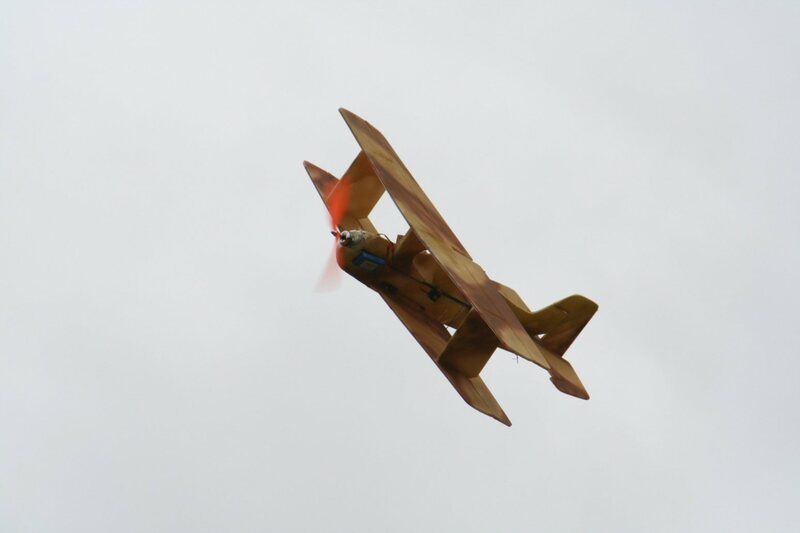 He is also experimenting with rudder and aileron for turns. 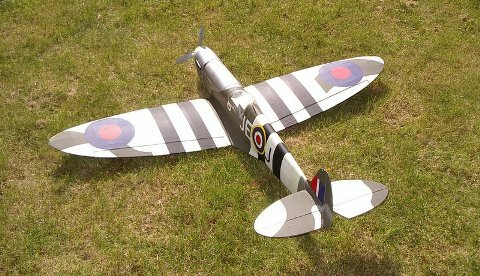 It is powered by a Hyperion 4035/12 brushless motor swinging a 17" by 12" prop. Fuel comes by means of a 16 cell pack of NiMH sub Cs. 72" span brushless EDF - A380 powered by 2 outrunner and 2 inrunner motors turning 52mm fan units. 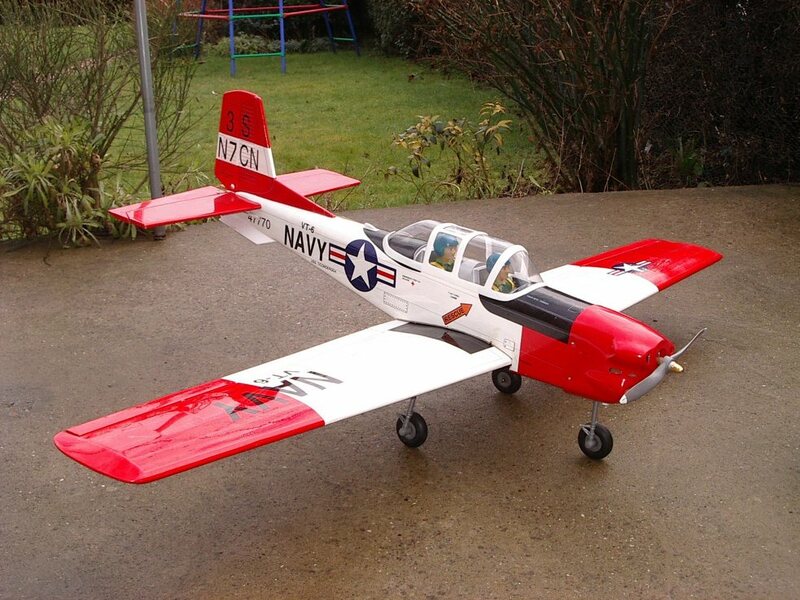 Axi 2820/10 powered Great Planes Texan. 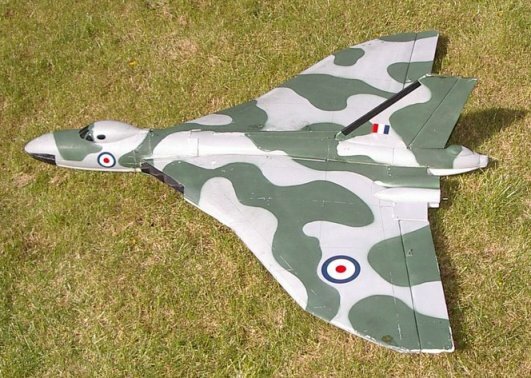 Vulcan with a pair of brushless inrunners. 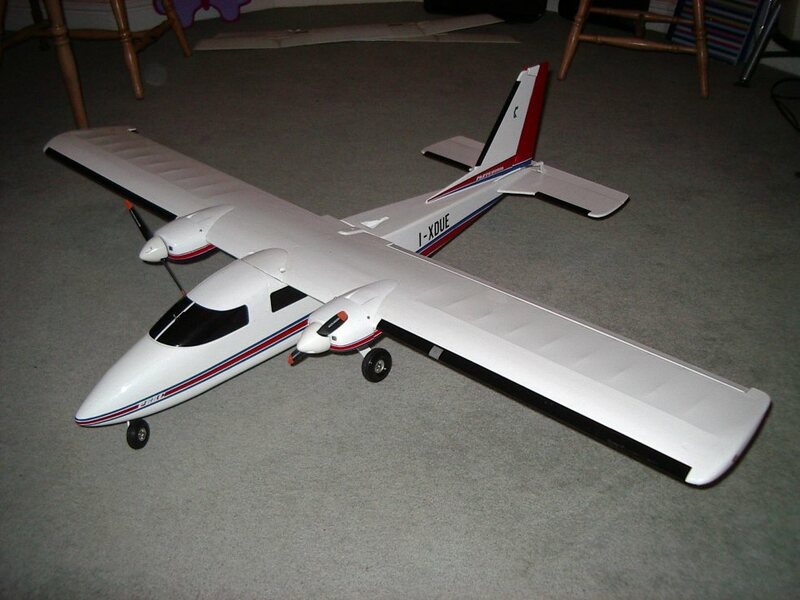 ARC Cessna 177 Cardinal designed for a .60. Powered here by a cheap 600w Chinese outrunner. 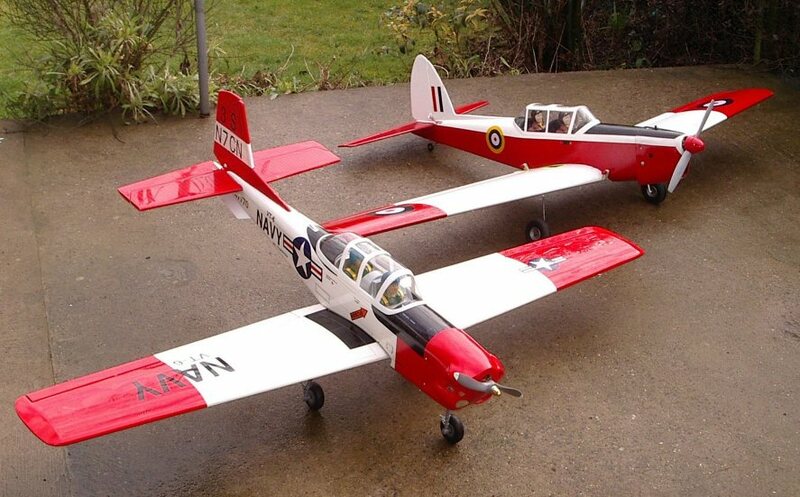 Mentor and Chipmunk, ex I/C models. 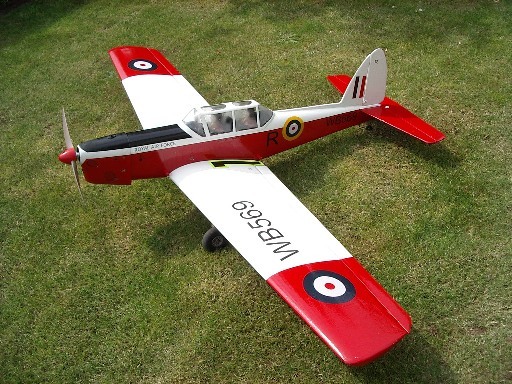 DH Chipmunk designed for a .60 - 2 stroke, flown with an Axi 4120/16 and 6 LiPo cells. 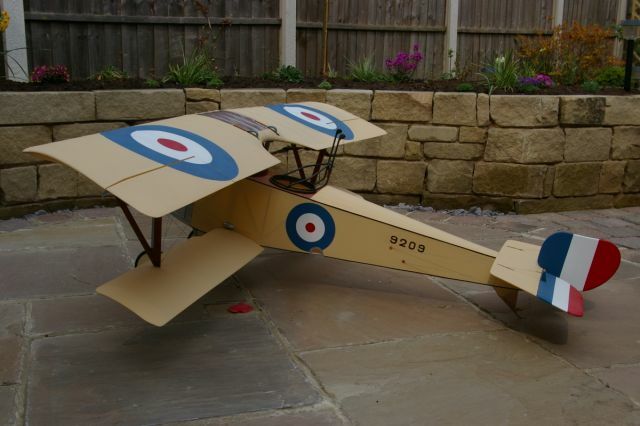 All of these planes have been converted to brushless electric power, bar the 4 'WingBats' (at the bottom of the page) and the Depron Biplane below, as they were designed for brushless power. 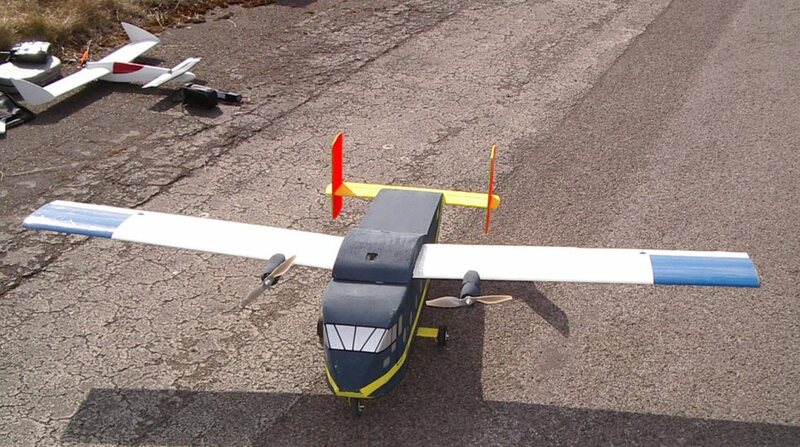 Purpose made electric planes deigned for 'can' motors make an ideal conversion to brushless. They are designed light, but are still very strong. 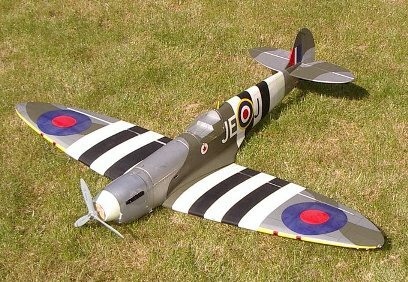 Purpose made brushless models tend to be very light, and not very crash friendly. 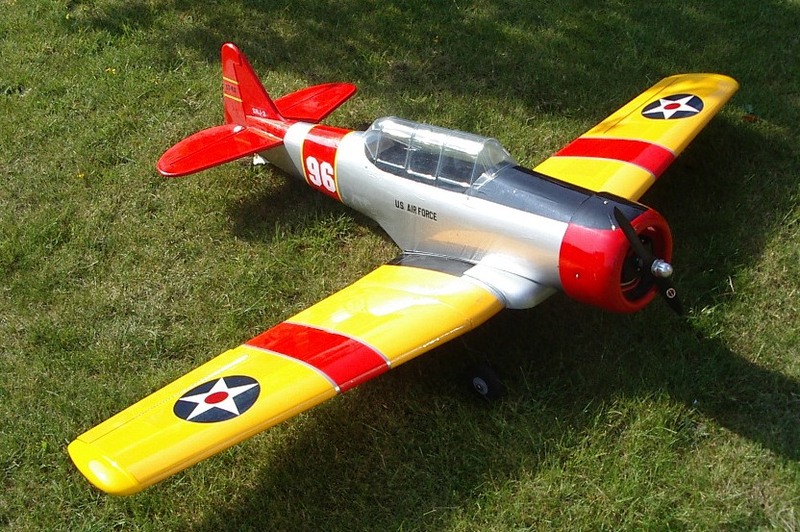 All photos are of the Webmaster's own planes. Send me your pictures for inclusion on these pages. 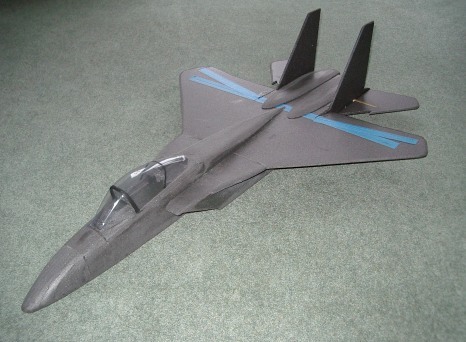 6mm Depron F15 brushless 21T pusher (left), and built-up F18 with brushless EDF for power (above). 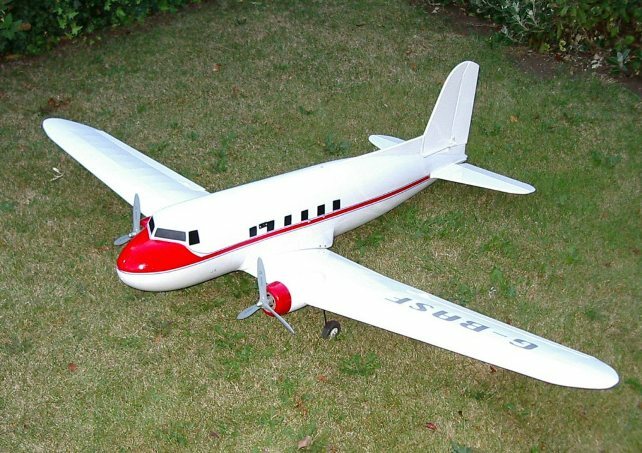 Twin Speed 600 'cans' converted to outrunners in this DC3 Dakota. 6mm Depron Shock flyer, with a 21 turn bell motor. 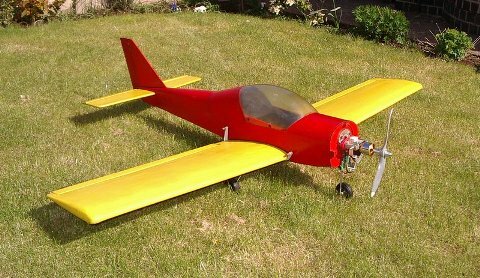 Built-up Partenavia for twin Speed 400's, now with brushless bell motors for 20 minute flights. 6 pound traditional foam low winger. ...now with a 300 watt outrunner. 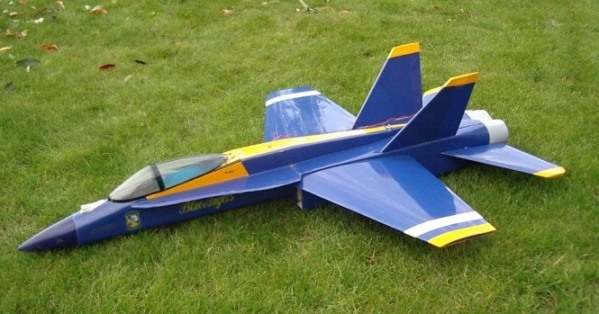 12" span blue foam Wingbats installed with rewound computer CD brushless motors. 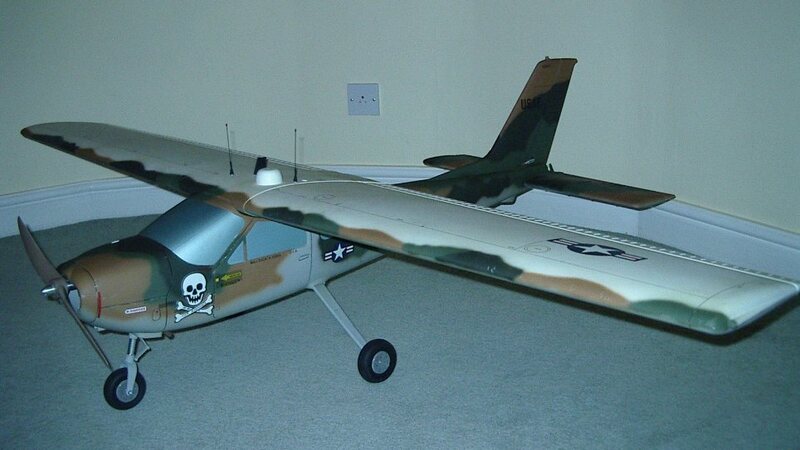 6mm Depron Skyvan home build with twin 21 turn bell motors. Designed around a spare glider wing. Bell motor powered canard in the background.